Don't leave your guests out in the cold! 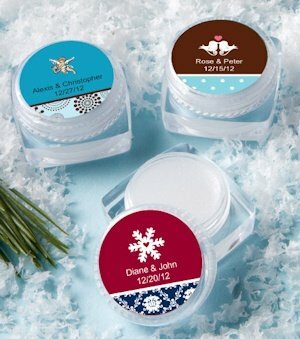 Help them protect their lips from the cold winter air while giving them a memento from your special event with our cheerful lip balm favors. 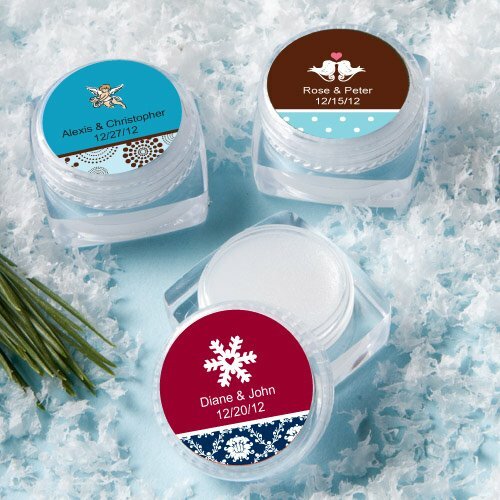 Each 1.2" round container is filled with soothing vanilla flavored lip balm and topped with a screw-on lid. Choose from a variety of great winter designs and colors then add 2 lines of custom text to make your gift extra special!